View the 2017 catalog online HERE! From Anonymous of Greeley, Colorado on 10/30/2017 . I have always been a fan of the Lamplighter collection and have ordered 6 more books to add to my collection. My children love these books as well, can't get enough of them. Thank you for bringing these books and audios to light. From Tonya Cook of Niangua, Missouri on 10/19/2017 . Wonderful Catalog!!! Hope to order from it very soon. Thank you for the gift of this wonderful work that you do. The world is a better place because of Lamplighter Theater. From Anonymous of Orlando, Florida on 5/28/2017 . The catalog is a helpful source. I like thumbing through the catalog and trying to decide where to begin. I'm excited to start ordering books from Lamplighter. From Anonymous of Plainwell, Michigan on 3/1/2017 . Thank you so much for the free catalog! I loved reading about the history of Lamplighter books. Reading about all the books and audio dramas makes me want to buy them all! Needless to say I signed up to receive 2 books/ audio dramas a month! 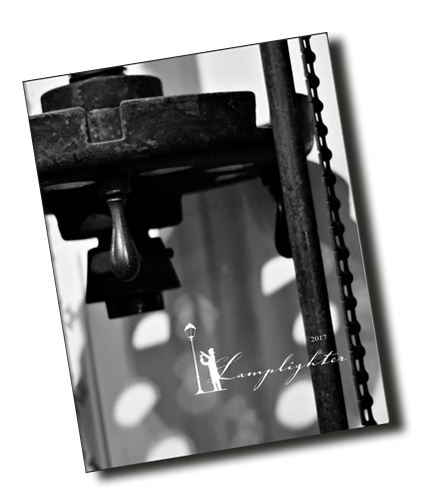 So glad my friends blog shared Lamplighter with her readers! This is a great start to having a living library with four little ones at home. I do however wish there were more descriptions for the older books listed in the catalog. From Lynn Tucker of Green Bay, Wisconsin on 1/29/2017 . Ordered 10 books from scratch and dent sale and was very pleased with the books. Out of the 10 books , only noticed 1 book with off centered printing.